This program is intended to promote the practice of catch and release fishing in Nebraska. Catch and release fishing aids in the conservation of our fisheries, and creates quality fishing opportunities by encouraging the release of trophy sized fish across the state. To view photos of submitted fish, click the species name. Fish must be taken by hook and line from Nebraska waters. Fish caught on banklines are not eligible. Fish must be hooked, played and landed by the applicant. The fish MUST be released alive in the same body of water where it was caught. Fish must be measured on a rigid "store bought" measuring device, clearly showing 1/4 inch increments. (i.e. Stanley extending tape measure, yard stick, bump board). Keep measuring devices straight with no bends or twists. No homemade measuring devices will be accepted. A minimum of two pictures are required. One picture of the fish’s length, and a second picture of you with the fish. Additional pictures may be required to clearly show the length of the fish if it's too long for one photo (see example below). The mouth of the fish MUST be shut or it will not be considered, unless the mouth is on the underside of the fish (i.e. Catfish, Sucker, Sturgeon). New records must beat the current record by 1/4 inch. We will not accept applications for Pallid Sturgeon, Lake Sturgeon, or Paddlefish. NEFGA staff will be reviewing submissions. Applications will be rejected if there is any uncertainty of fish identification or length. TAKE GOOD PICTURES! Fish may not be entered if caught prior to 4/15/2019. Complete the Application Form below. All fields must be complete. Keep the fish’s head on your left and tail on your right with the belly towards you. Shovelnose Sturgeon must be measured from the tip of the snout, to the natural fork in the tail. Measure the total length from the tip of the snout to the end of the tail, with lobes of tail squeezed together. Bump Boards are the preferred method of measuring but not required. Follow this link to complete your application. The link will also allow you to upload photos of your fish. 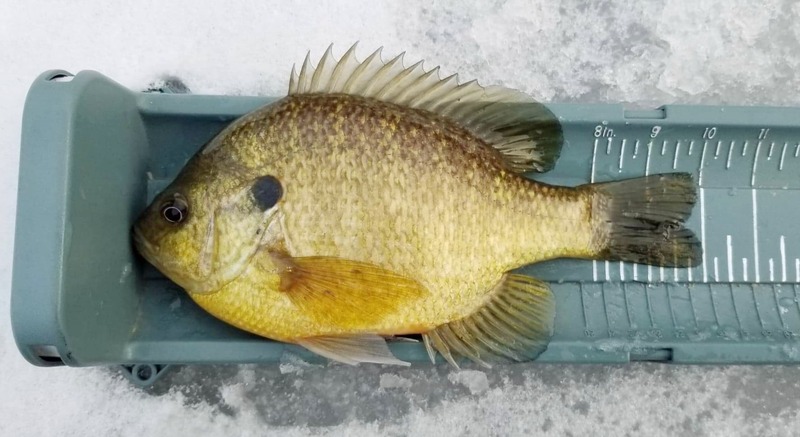 This link, from the Nebraska Game and Parks Commission, will help you learn to identify and explore the fish that may be found in Nebraska.